Attention-Deficit/Hyperactivity Disorder is a common condition that affects both children and adults, and can have serious consequences for academic, emotional, social, and occupational functioning. When properly identified and diagnosed, however, there are manyinterventions for the disorder that have established benefits. This volume in the new series, Advances in Psychotherapy – Evidence-Based Practice, provides therapists with practical, evidence-based guidance on diagnosis and treatment from leading experts – and does so in a uniquely "reader-friendly" manner. Readers will gain an understanding of recentadvances in the etiology and symptom presentations of ADHD in children and adults, as well as the use of stimulant medications, other psychopharmacological approaches, and psychotherapeutic interventions. The book is both a compact "how-to" reference, for use by professional clinicians in their daily work, and an ideal educational resource for students and practice-oriented continuing education. The most important feature of the book is that it is practical and "reader friendly." It has a similar structure to others in the series, and is a compact and easy-to-follow guide covering all aspects of practice that are relevant in real life. Tables, boxed clinical "pearls," and marginal notes assist orientation, while checklists for copying and summary boxes provide tools for use in daily practice. 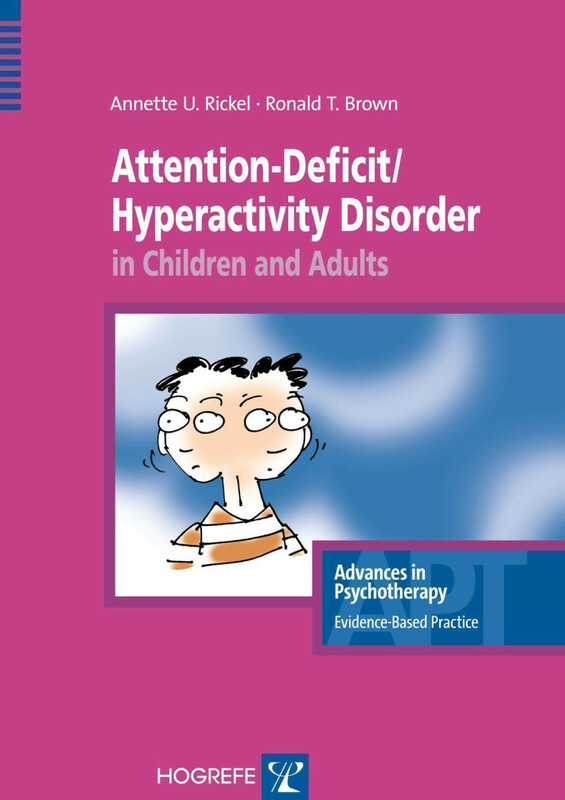 "The authors have provided a superb, up-to-date summary of ADHD in children and adults along with highly useful information on its management that will be of use to both clinical professionals and educated parents alike." "Attention deficit hyperactivity disorder is an often controversial diagnosis, and one that receives frequent attention in the scientific literature. The sheer magnitude of research published monthly on ADHD makes keeping current a daunting task. Rickel and Brown have provided a concise, densely packed overview of current scientific literature on ADHD that proves particularly insightful in dealing with issues of etiology, comorbidity, and treatment. For the busy clinician, I can think of no better source for rapid access to a guide for evidence-based practice than Rickel and Brown." "Rickel and Brown provide informed and reasoned coverage of the recent advances in understanding, assessing, and treating ADHD are discuss them with both case studies and supportive evidence. A balanced and informed document, the book acknowledging the benefits and risks associated with medications as well as the limitations and benefits of psychological treatments. Designed to be compact and user-friendly, the book achieves its goal." "This book is an essential and accessible resource for clinicians and students who seek to assess and diagnose children and adults with ADHD in a manner that is both evidence-based and state-of-the-art. The authors also successfully achieve the difficult goals of producing a volume that is at the same time brief and yet provides comprehensive coverage of the most relevant issues. The Rickel and Brown text provides thorough coverage of diagnosis and treatment supported by two earlier chapters that provide the reader with a deep understanding of the disorder, it core symptoms, suspected etiologies, and the features that distinguish it from other common disorders of childhood. An important consequence of this structure is that readers not only understand "what" and "how" to conduct a thorough case conceptualization but, more importantly, they understand "why" they are doing it because of the theoretical and scientific knowledge gained in the early chapters. Thus, I return to my original conclusion that "Attention-Deficit/Hyperacitivity Disorder in Children and Adults" will fully support readers in their efforts to engage in the most sophisticated practices available for serving these patients."